Business Insider/Jessica TylerDunkin’ is working on developing more technology to make ordering easier for both crew members and customers. Dunkin’ Doughnuts is rebranding as just Dunkin’ and bringing some big changes to its stores in the process. Dunkin’ is testing new technology in its Innovation Lab and emphasising mobile ordering to make crew members’ jobs simpler. 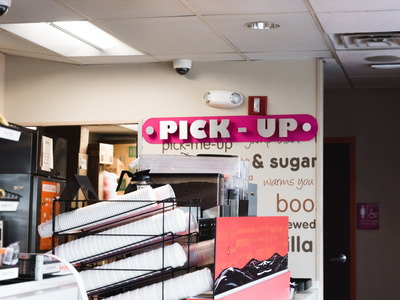 As Dunkin’ rolls out its rebrand to new and existing locations nationwide, executives say the coffee empire isn’t afraid to embrace automation. The rebrand, which started with a name change to just Dunkin’, also includes new features like cold brew taps, brand-new espresso machines, and an emphasis on mobile ordering and pickup. 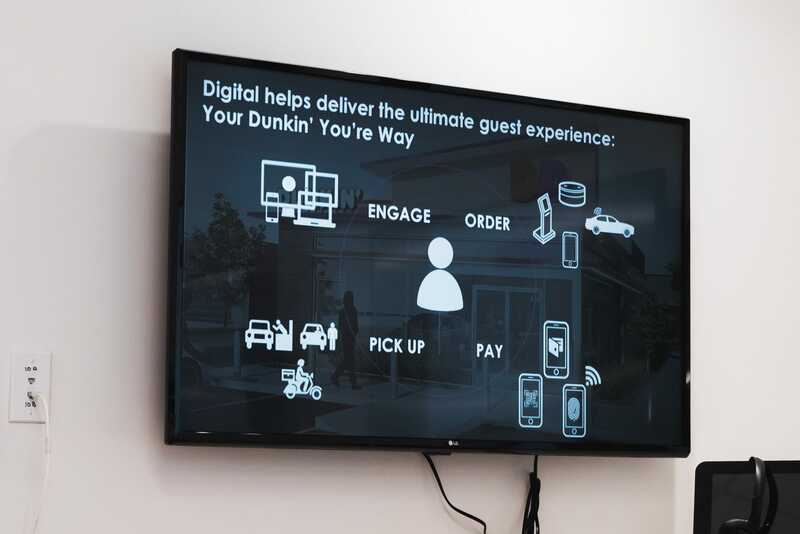 Before any changes are rolled out to stores, they’re tested out in Dunkin’s Innovation Lab, attached to its first “store of the future” in Quincy, Massachusetts. The Innovation Lab is where Dunkin’ is currently testing out products like self-serve cold-brew taps, order-pickup lockers, and AI technology that can help suggest orders based on customers’ gender, age, and mood. Dan Wheeler, Dunkin’ Brands’ vice president of strategic initiatives, told reporters earlier this month that Dunkin’ won’t shy away from automation as it continues to rebrand. He said that customers should be able to “order through a robot and let a human make the coffee,” emphasising all of the on-the-go order options Dunkin’ is developing. By moving towards automation for ordering, Wheeler explained, crew members can focus on preparing coffee and food. Dunkin’ is also emphasising that it wants customers to be able to order anywhere, at any time, on any device. In addition to the mobile app itself, customers can order through Waze, Google Assistant, and Amazon Alexa within minutes. “We’re building restaurants with mobile order and pay as a primary feature of the restaurants. We’re excited about where we’re going from here,” CEO David Hoffmann told reporters last week. It also has several AI devices in testing, like a device that can recognise your gender and suggest different menu items based off of popular orders for each. Another product in testing was able to recognise gender, age, and mood, based on your facial expressions. Neither of the devices was particularly accurate, but the idea is to one day have a device that can predict and take orders so baristas can focus on making coffee.